Publicis Groupe is targeting "bolt-on acquisitions" amid plans to make €450m (£395m) in cost savings as part of the ad group's three-year "Sprint to the future" strategy. The strategy aims to move beyond structural changes that the French ad giant has made since 2014 such as appointing country leaders and creating the four solutions hubs, including the acquisition of Sapient. The group plans to make acquisitions of up to €500m annually for three years in data, creativity and digital business transformation. The company also announced it is targeting an increase in its operating margin rate by "30 to 50 basis points" every year until 2020, which will include a cost saving plan of €450m. "These savings are rigorously assigned to identified areas of the cost base: 1) rightsizing of the mature businesses, 2) capacity and planning, 3) shared services, 4) country support functions, 5) real estate, 6) external spend," the company said in a statement. To deliver the new model, Publicis will speed up its transformation by creating more global client leader roles to strengthen relationships with key customers, increasing the percentage of revenue coming from its country model, and upping headcounts working for "delivery platforms". Today, data, dynamic creativity and digital business transformation represent 16% of revenue with Publicis Groupe’s top 100 clients, but the company wants this to rise to 30% in 2020, with a 70% share of the Groupe’s total growth. The "Sprint" strategy comprises three key areas: one-to-one consumer engagement at scale; accelerate the group’s transformation; and deliver greater shareholder value while transforming through accelerated organic growth and operating margin rate expansion. 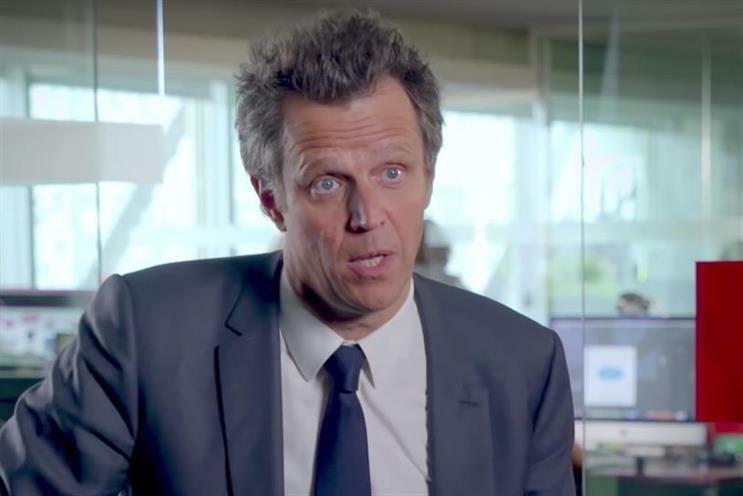 Arthur Sadoun, who took the helm at Publicis as chief executive last year, said the company was in a unique position in the market because "no one else can deliver" its range of expertise in data, content and tech, and consulting. He said: "We can now bring to our clients what will make them win in the future: one-to-one consumer engagement at scale thanks to our three connected strategic game-changers in data, content and technology and consulting. "This gives us a unique position on the market as no one else can deliver this range of expertise at scale in a connected way, with the necessary credibility with chief marketing officers and chief information officers. Thanks to our offer and our teams, we are seeing some promising results, with unprecedented new business momentum such as Mercedes-Benz, Marriott and Campbell’s."